There is a lot of discussion about the opportunities that innovation and new technology brings not only in improving impact of agricultural research, but also in attracting youth to agriculture and to agricultural research. A training activity focused on ‘gaming’, that the Crawford Fund supported in Laos, was certainly very popular. With thanks to the Crawford Fund, Dr Davina Boyd from Murdoch University, Ms Céline Dillmann from the Institute of Terrestrial Ecosystems, Switzerland and Dr Joshua Philp from the University of Adelaide conducted a short training course – Gaming as a Socioeconomic Research Tool for Lao Agricultural Scientists at the National Agriculture and Forestry Research Institute, Lao from 22 to 24 May 2018. “Gaming is an exciting research methodology that combines community engagement and data collection and is particularly useful for exploring the potential consequences of strategic decisions in agriculture”, said Dr Philp. The training provided the opportunity for attendees to participate in authentic gaming-for- research sessions, and to analyse qualitative data collected from gaming. 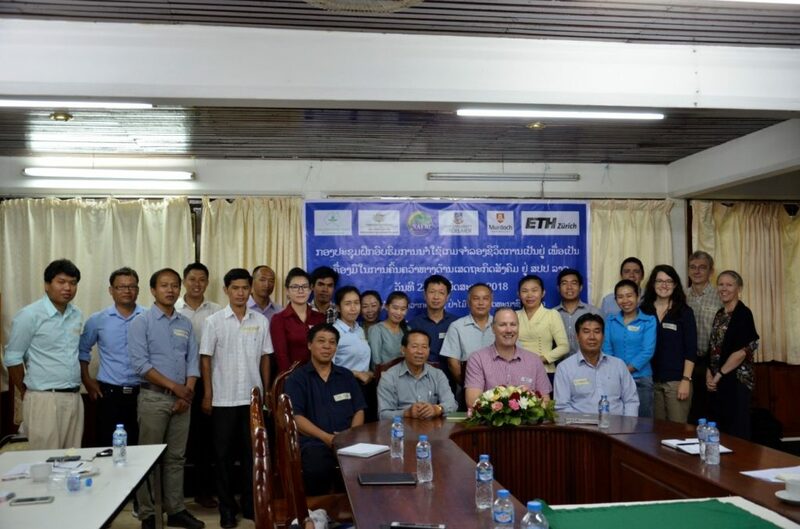 It was attended by a diverse range of local and international researchers from institutions including the National Agriculture and Forestry Research Institute, the National University of Laos and the Center for Livestock and Agriculture Development, Cambodia. Participants reported that the training captured many useful aspects of gaming including data collection, analysing, facilitating and debriefing, allowing participants to understand more and be confident in applying gaming in their future research. Enthusiastic feedback from attendees included, “The game is a way to break down barriers to farmers and create more inclusive community discussions, building trust and overcoming power imbalances and gender issues”. Participants said that most of their expectations had been met. The qualitative data session and the Forage Options game were often identified as components of the training that met expectations. 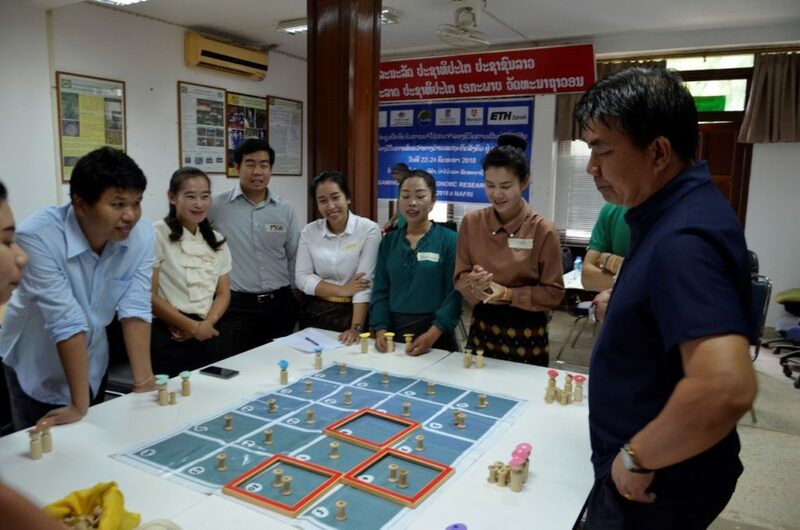 Dr Philp said that: “participating farmers commented that the gaming methodology is engaging and fun, whilst also being realistic enough for them to be able to reflect, relate and use the process as the basis for discussions concerning their agricultural decisions”. It is expected that the training will provide young and mid-career researchers, and their institutions, with the capacity to manage and conduct gaming for research purposes. The training was delivered to a wide selection of young and mid-career researchers, who have largely indicated an appreciation for the methods taught and that they will apply the training in their work.